I am now 36 weeks and I am feeling like it’s crunch time. I have to get everything ready for this little man! We got all of his clothes out and Nana washed them all for me. I have most everything I need for him, I just need to put together my own postpartum essentials, set up his swing, and install his car seat, and then we are good to go. 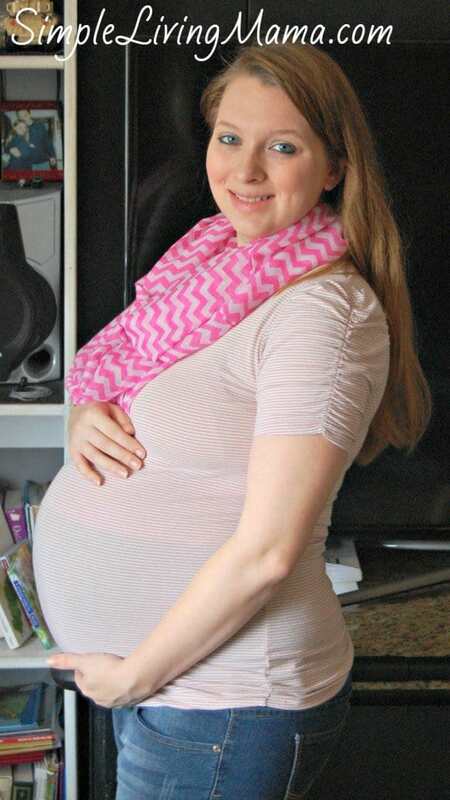 These essentials are part of my pregnancy tips! Baby is head down and ready to go! I am measuring at 40 weeks already, which is no surprise to me. I’m known for making large babies. So, what are my postpartum essentials? 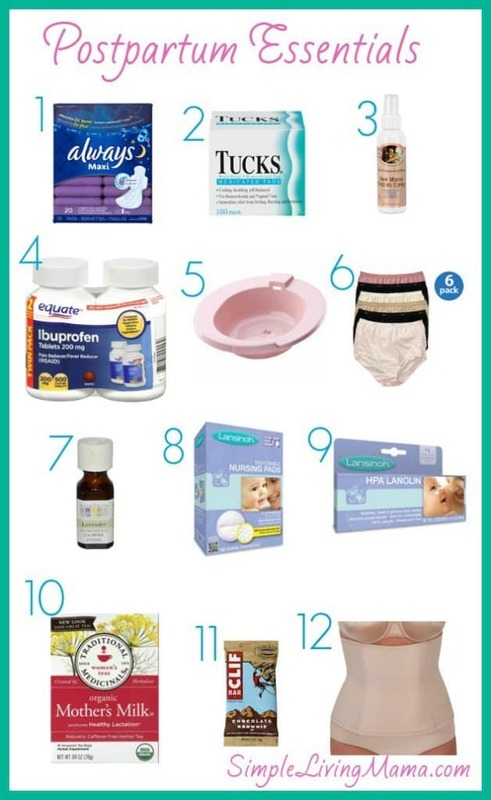 These are the items I would put in a postpartum care kit if I were making one. I like to make a little mini kit with the things I need. I get several of my items from the hospital and just bring them home with me. Some things I do buy ahead of time. 12. Postpartum corset – I love my Bellefit corset. Use code SIMPLE20 to get $20 off your Bellefit! Read more about my experience with Bellefit. My best advice is to take home what you can from the hospital. I forgot to mention a peri bottle, but they will give you one at the hospital. 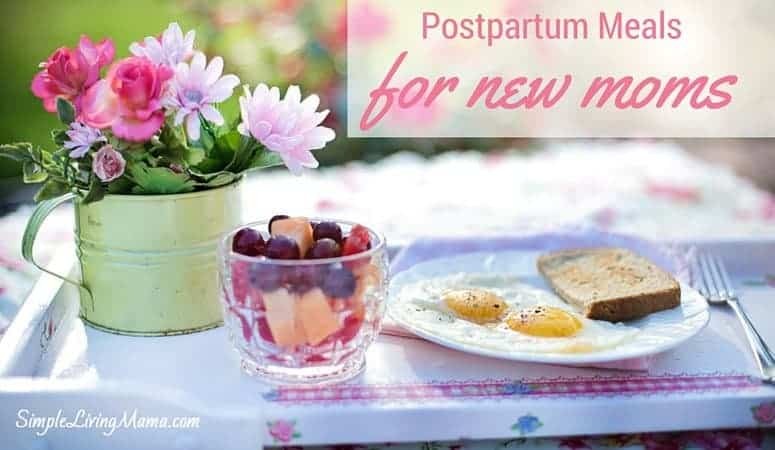 This is essential that first week or so during your postpartum recovery. You won’t want to use toilet paper after using the bathroom, so the peri bottle helps keep things clean. I particularly love products from Earth Mama Angel Baby. Their Big Push Birth and Baby Kit contains several amazing products for both mama and baby after birth. The birth and baby kit is pretty much a pre-made postpartum care kit for both mom and baby. 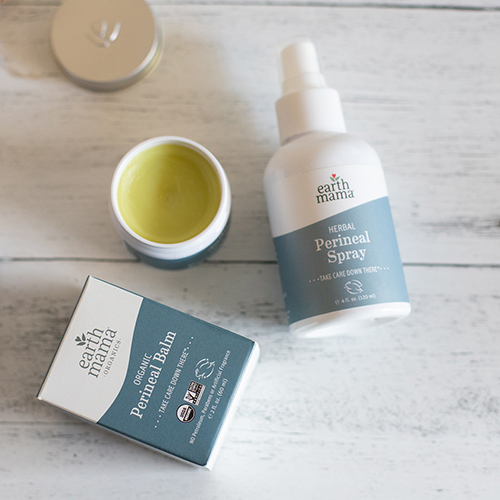 I particularly LOVE the postpartum bath herbs and new mama bottom spray. All of the stuff for a new baby is wonderful, too! Of course, if you do not want to go the route of a pre-made kit, including all of the essentials I listed above in a nice basket would also make a wonderful gift for a new mama. Have you heard of “Lying In?” It’s a period of time after baby is born that mama takes time to rest. I have done this after the births of my last two babies, and it’s been wonderful. 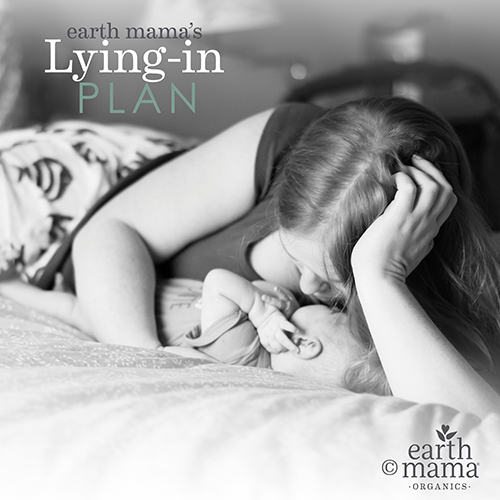 Grab a free Postpartum Lying-In Plan by clicking the picture below! 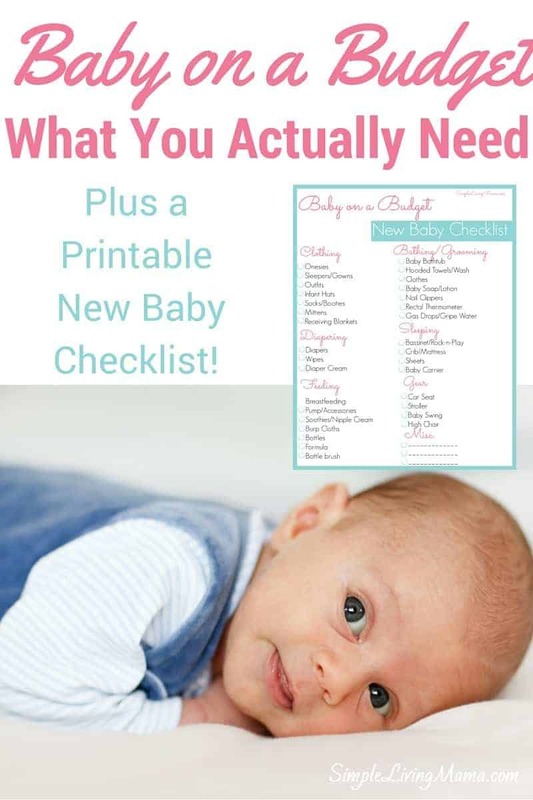 What are your postpartum essentials?